Ryan Smyth of the Edmonton Oilers announced on April 11 that he will be retiring from the NHL after his club’s final regular-season game this season. This means the 38-year-old native of Banff, Alberta laced up his skates for the very last time in the NHL in a 5-2 home win over the Vancouver Canucks on April 12. The player, whose nickname is Captain Canada, was chosen by the Oilers with the sixth overall pick in the first round of the 1994 NHL Draft and played 14 of his 18 seasons with the club. 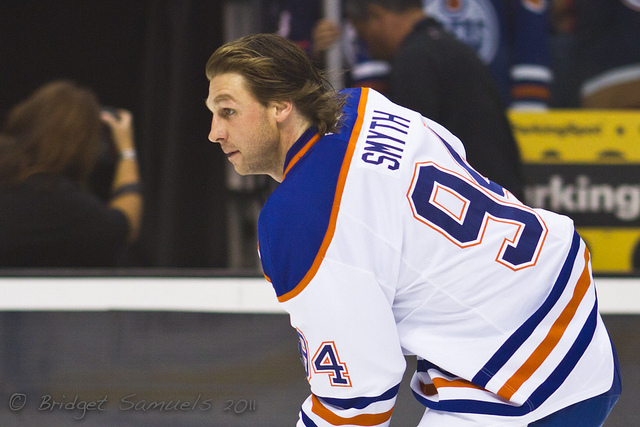 Smyth spent two seasons with the Los Angeles Kings, but in 2011 asked to be dealt back to Edmonton. 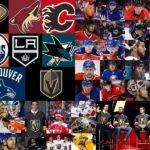 He also played for two years with the Colorado Avalanche prior to joining the Kings and had a short stint with the New York Islanders. The left-winger went into the game against Vancouver in search of a power-play goal as he was tied with former Oiler Glenn Anderson with 126 franchise power-play goals. However, he was held scoreless in his NHL finale. 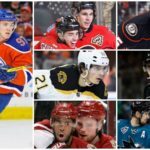 Smyth had 10 goals and 13 assists for 23 points this season in 72 games. He made his debut for the Oilers in the 94/95 season when he played three games for the team before being sent back to the Moose Jaw Warriors junior team of the Western Hockey League (WHL). He also played for Canada at the World Junior Championships that season and won a gold medal. Smyth had eleven 20-goal seasons during his career and managed to hit the 30-goal mark on four occasions. His best offensive season came back in the 2000/01 campaign when he scored 31 goals and added 39 assists for the Oilers in 82 games. He scored 39 goals for the team in 1996/97 and had 36 in the 2005/06 term and had 31 more the following season. He scored over 20 goals in each of his two seasons with the Kings and added 40 for the Avalanche in his two years there. He also had 15 points in 18 games during his time with the Islanders. Smyth played a total of 1,270 regular-season games in his NHL career and had 386 goals and 456 assists for 842 points. Fifty-six of his goals were game winners. He made it to the Stanley Cup playoffs on 11 occasions and played in 93 postseason contests. He racked up 28 goals and 31 assists for 59 points in them. He was known as Captain Canuck for the numerous times he suited up for his country in international play. He played for Canada at the 2006 Olympics in Torino and won gold at the 2002 Olympics in Salt Lake City. Smyth also played for Canada at the World Hockey Championships several times and captained the team while winning two gold medals and one silver and won gold with Team Canada in 2004 at the World Cup of Hockey. Smyth was the heart – and – soul of my beloved Edmonton Oilers. A player Who made a living standing in front of countless NHL goaltenders, banging in greasy goals for the team on a nightly basis. Doing whatever it took to win the game for his hometown team. Smyth, admits he has lost a step, and it is time to hang them up. In 970 contests with the Edmonton Oilers Smyth was never team captain. 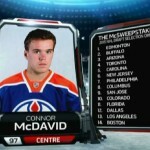 However, in a classy move by the organization; on this night he was awarded the “C”. In my opinion it should have happened years ago…. Thank you for your hard work and dedication to Edmonton Oilers organization and everything you’ve done for the city of Edmonton. It has been a pleasure spending my life watching your career! The respect Ryan Smyth held around the league was shown in the classiest way by the Vancouver Canucks, who had a handshake line for him after the game, to congratulate him on his retirement.